A pile of dead bees that had been dumped out of the hive sometime earlier. 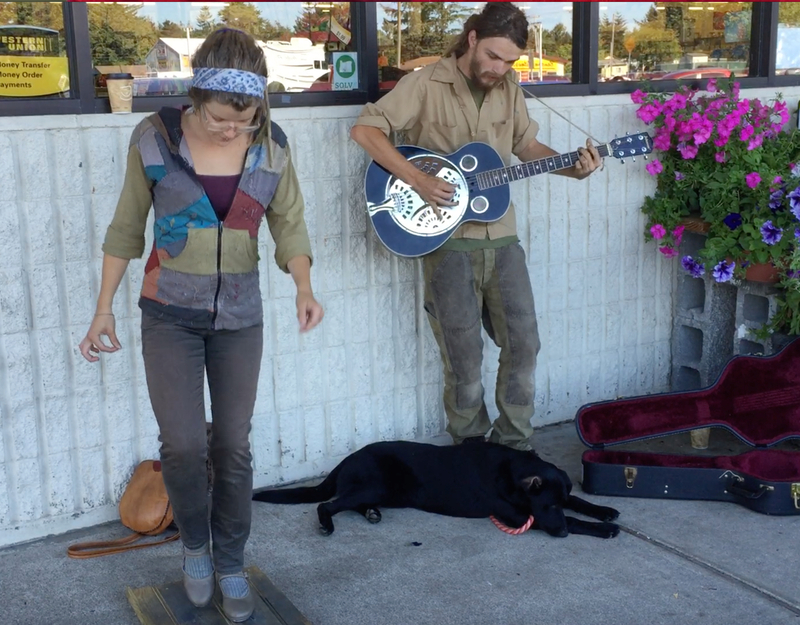 This picture was taken from a video I shot in April. The dead bees had been there for a while, but I just couldn’t bring myself to photograph them. Too depressing. It’s possible these are all drones with deformed wing virus. I wish I had looked closer and examined them. I guess I should be happy that the other bees cleaned them out of the hive. 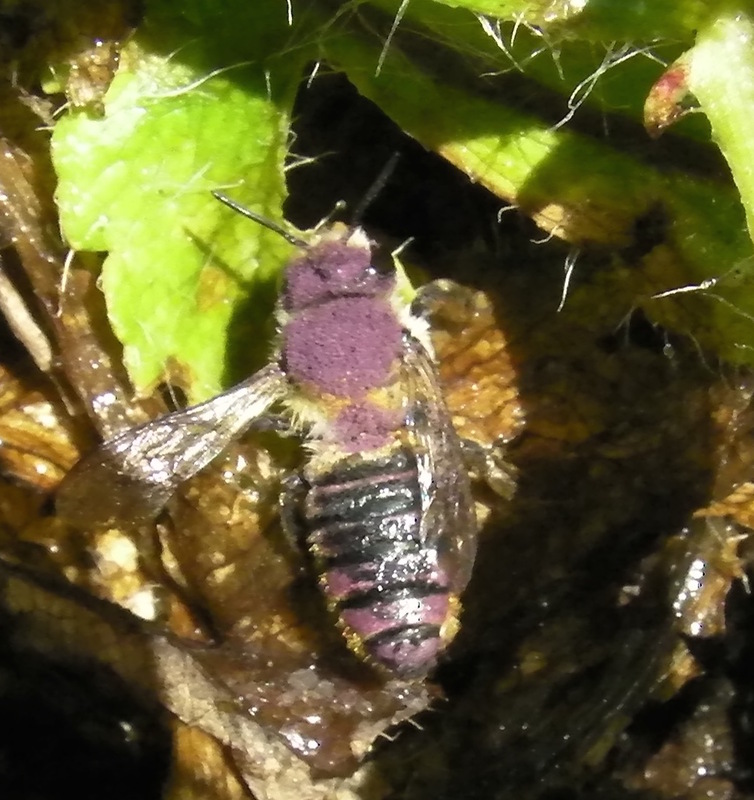 It shows there are healthy bees that are cleaning up. 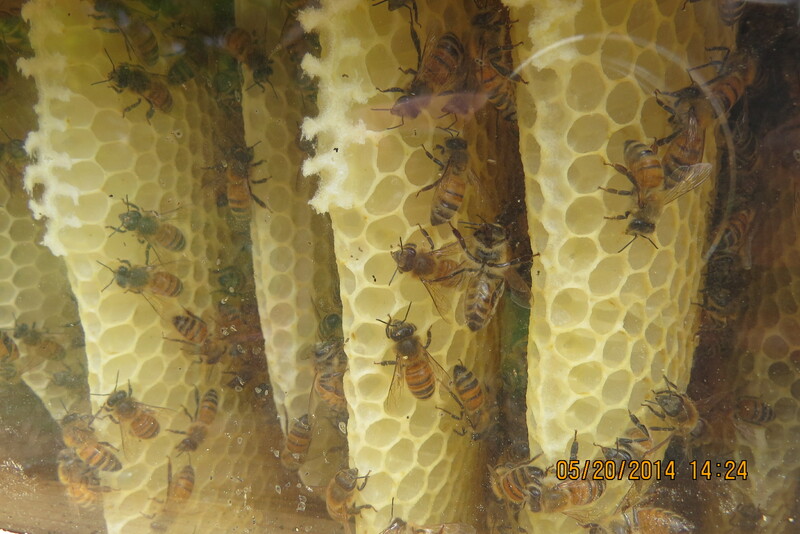 April 18, 2014…Box #3 is almost full, I’d better add a 4th box, which is what I did, but that was before the hive started to swarm. Compare the numbers to May 20th below. 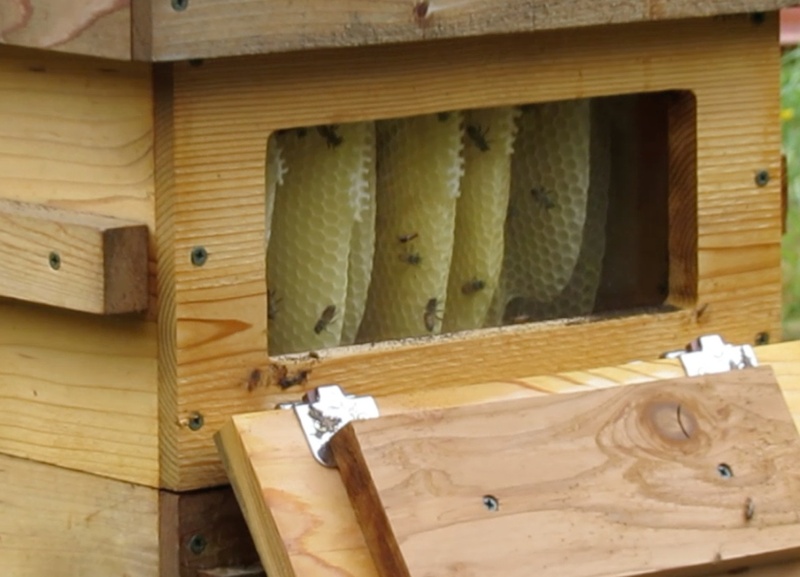 May 20…Ten days after the second swarm, there’s only a few bees left in this the third box. 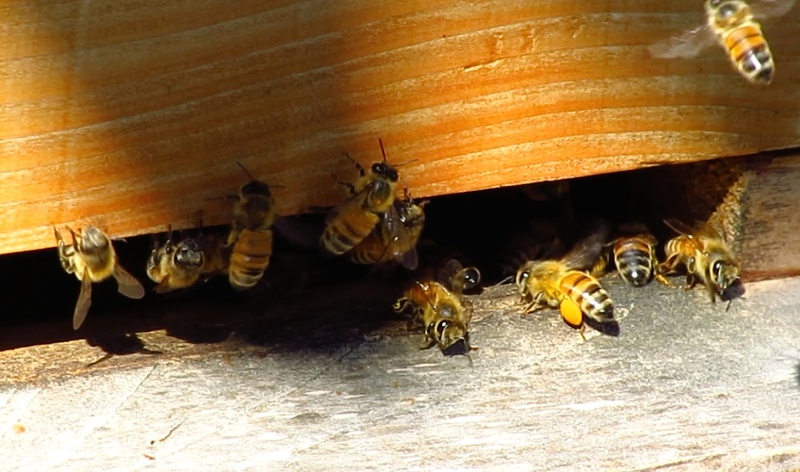 June 11…There’s been a small group of bees milling around the entrance for weeks. They don’t seem to have any ambition. Are they sick? Maybe. 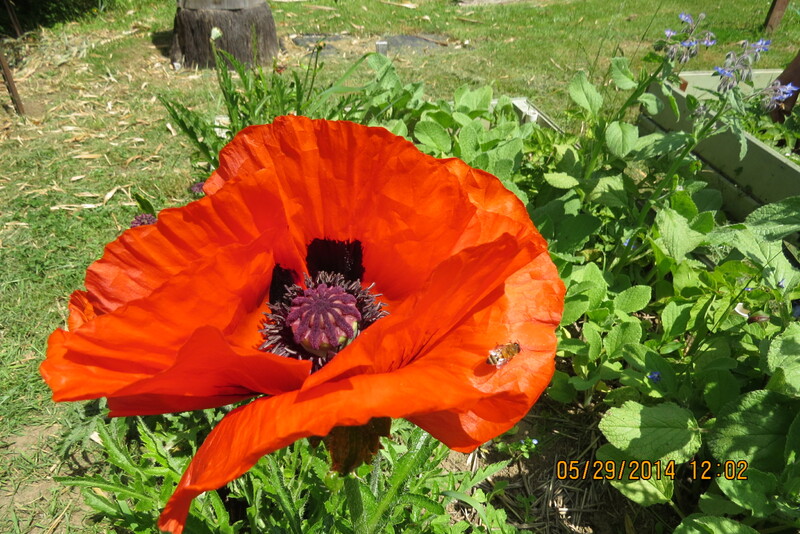 July 14…Even fewer bees in July. That means (to me) only one thing. This hive is going nowhere. It’s all over except for the robbing. 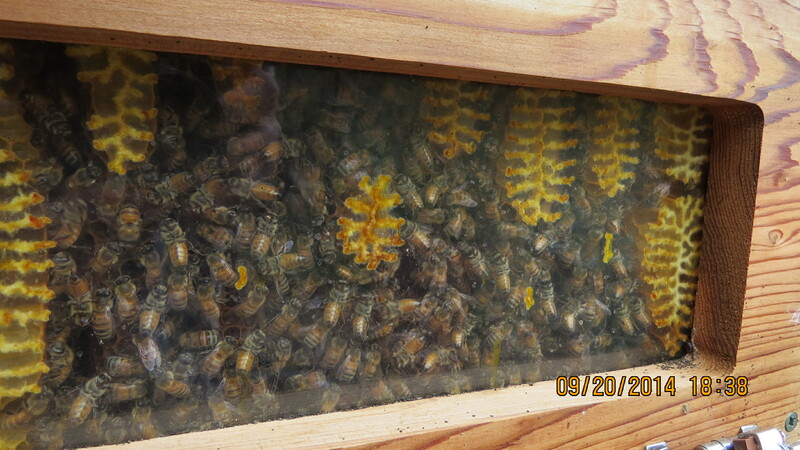 July 14…this is a shot at the middle box showing very few bees. 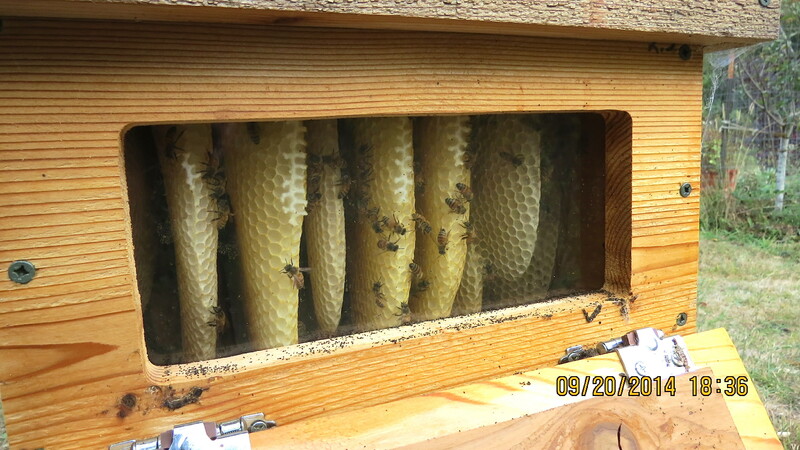 I’m just waiting for the robbing to start, but after tilting the hive, I realize there’s really no honey to rob. I’ve seen a hive get robbed. It isn’t pretty. Once it starts there’s no stopping it. If it did get robbed, I was planning to take the new comb, freeze it (in case of wax moths), and save for future bait hives. July and August came and went. No robbing took place. A swarm from my log hive presented itself on August 6. 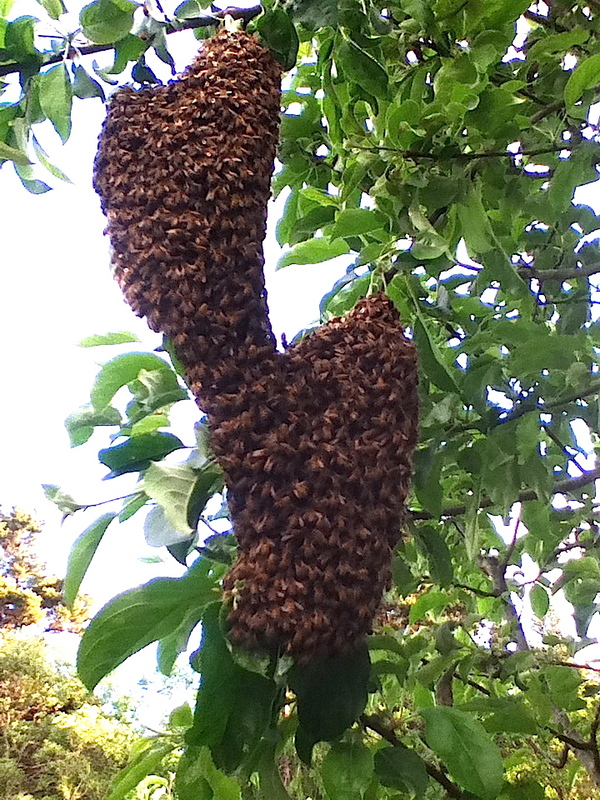 I contemplated combining it with this weak hive, but in the end, that swarm went into Bee Beard log hive of it’s own accord. September 20…It’s possible there are a few more bees showing in this top box. 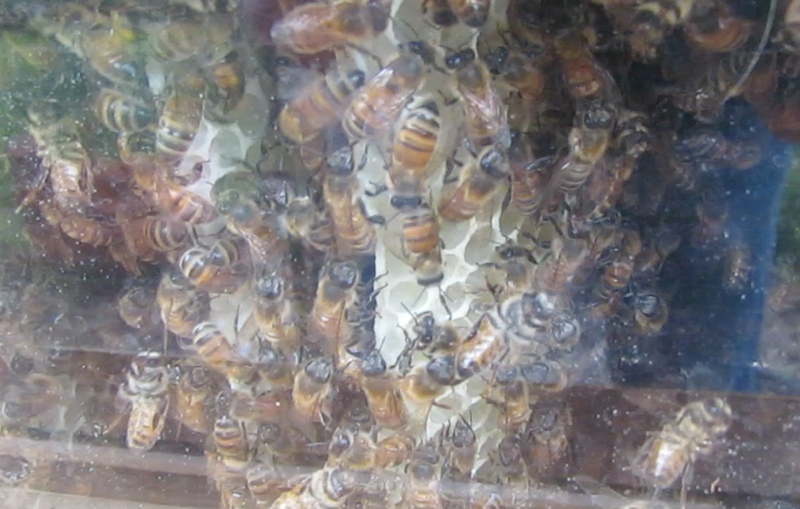 September 20…There are definitely more bees here in the middle box than in the July 14 view. The hive is building back up. 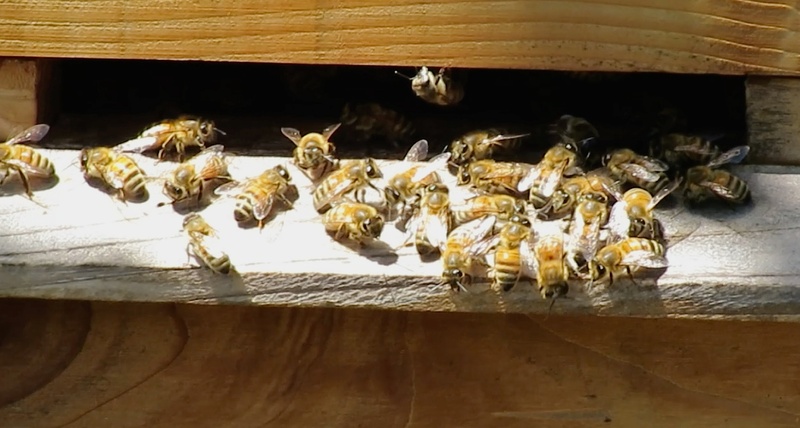 September 28…the activity around the hive has picked up dramatically. No more milling about. Bees are bringing in pollen. Could this mean the hive has come back? Could it be that by taking this long brood break, the hive has reduced the varroa mite population naturally and now has started building up it’s numbers again? 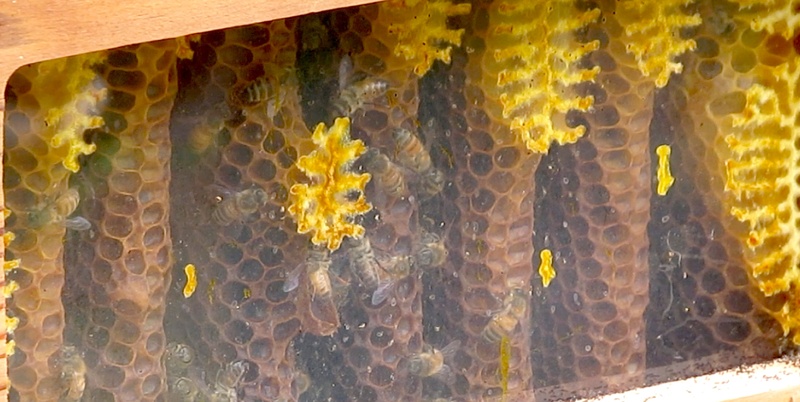 A look through the observation windows in the back of the hive shows the top box full of empty comb, the middle box being full of bees and comb, and the bottom box with bees and old comb. 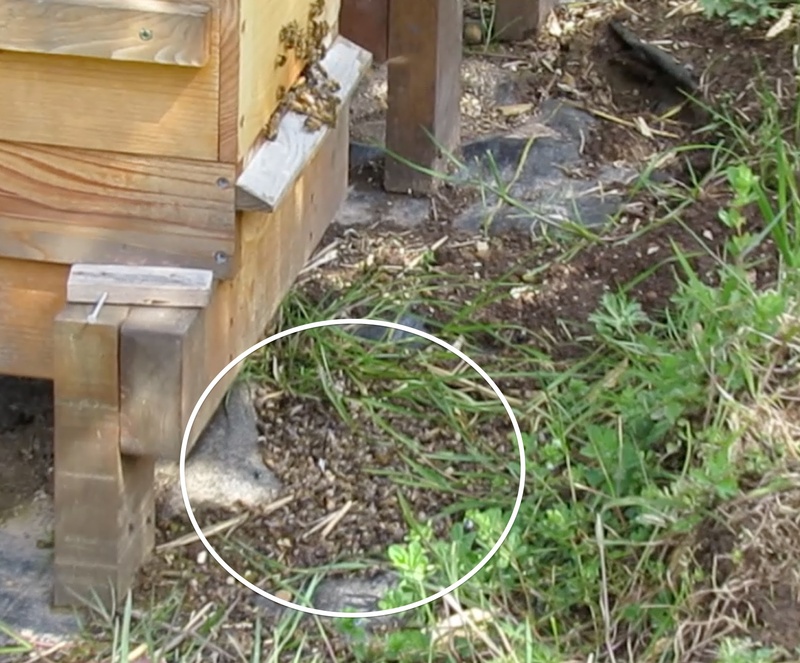 The question is…why aren’t the bees working the empty comb in the top box? A short video showing how fast the honeycomb built up. Luckily we are having an Indian summer into October. 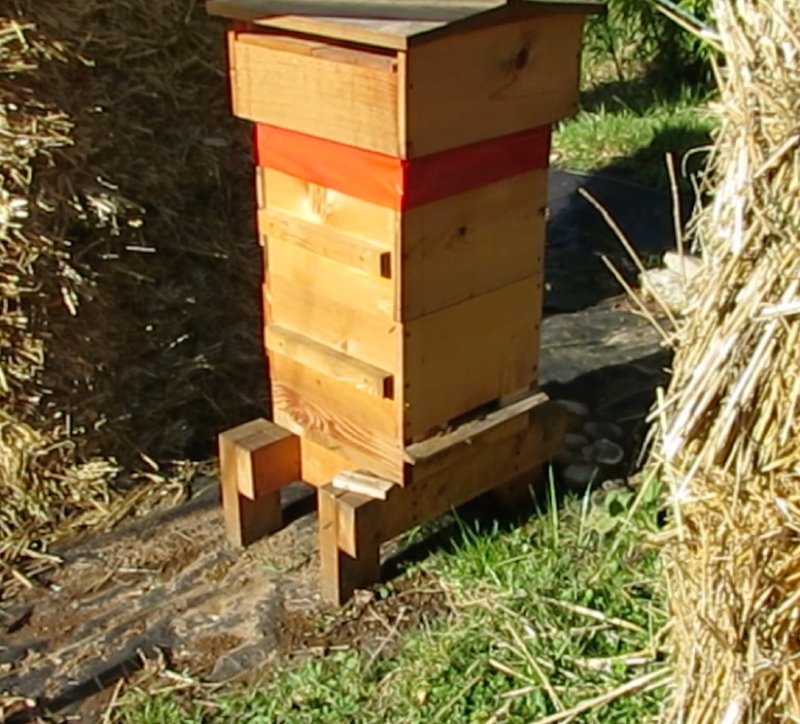 I’m athinking I won’t have to feed this hive this year as our winters are fairly mild and they have honey stores now. 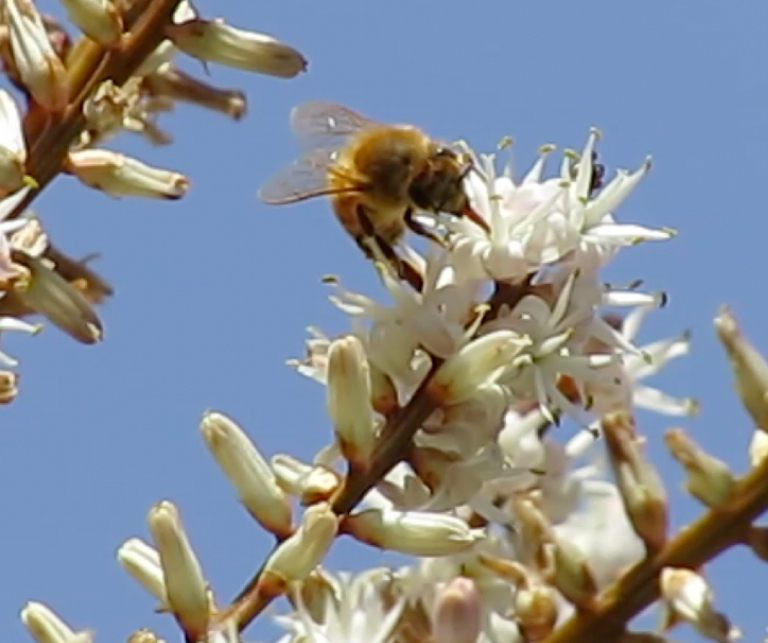 May 29, 2014…My wife said there were five bees on this earlier, but when I grabbed the camera, I only caught one bee. 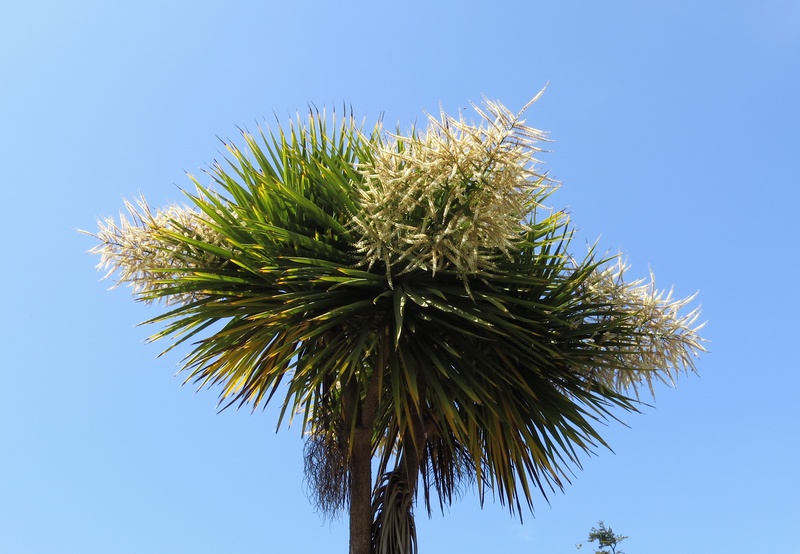 May 28, 2014…My neighbor’s New Zealand Cabbage trees are blooming. I’m glad it’s on someone else’s property because there is a strong odor associated with it. Our bees love it. May 28, 2014…New Zealand Cabbage has been blooming awhile. Our bees are all over it, all day. 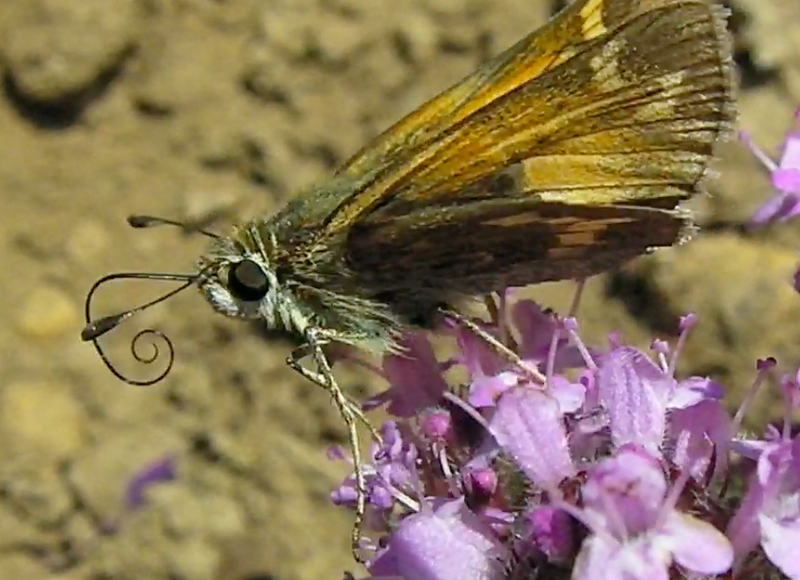 May 27, 2014…A skipper is probing the depths of this Pink Chintz Thyme for nectar. 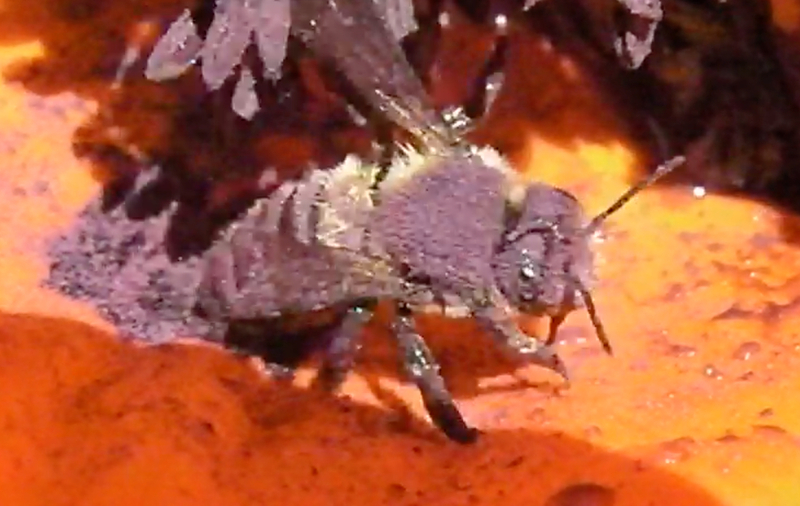 In the video, you can see it try several spots before finally succeeding. 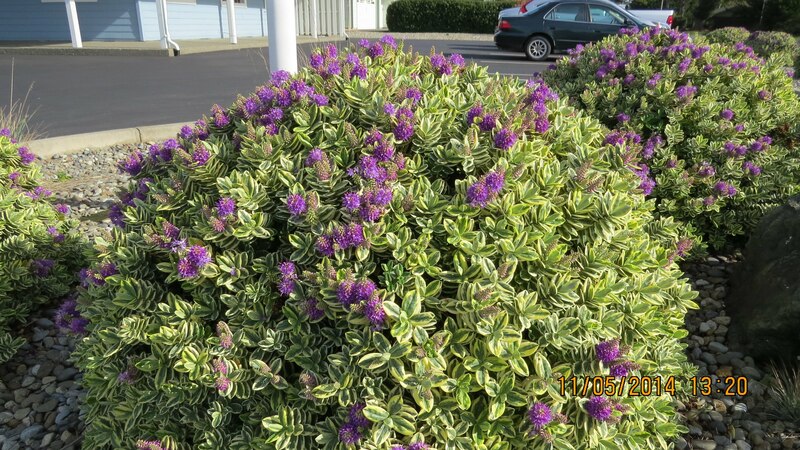 The bees love this plant as well.